Ahmed El Attar, is an Egyptian independent theatre director, translator, playwright and cultural manager. He is founder and General Manager of Studio Emad Eddin Foundation, a unique project, which offers rehearsal and training spaces to independent artists in the field of performing arts in Egypt. El Attar is also the founder and the artistic director of Orient Productions, the Temple Independent Theatre Company and the D-CAF (Downtown Contemporary Arts Festival). 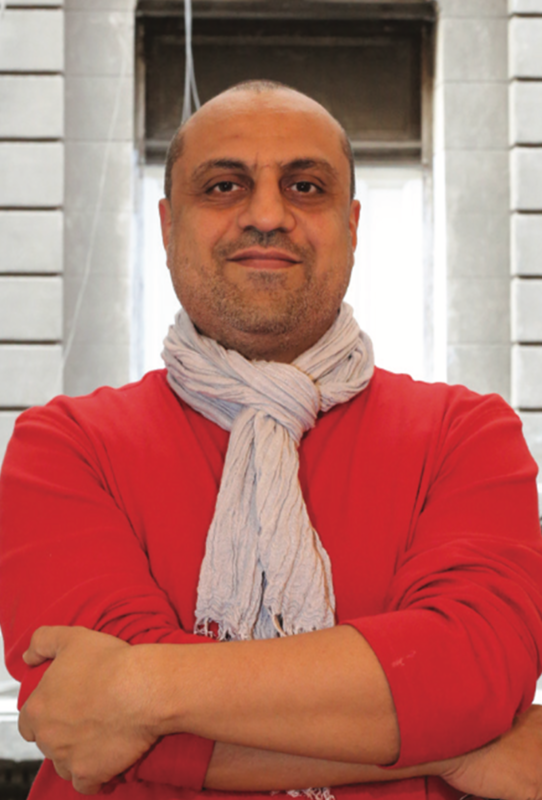 El Attar has a BA in Theatre from the American University in Cairo (1992) and an MA in Arts and Cultural Management from Paris III Sorbonne Nouvelle (2001). He is a Chevening scholar and a Clore Leadership Programme alumni (UK – 2009), a CEC Artslink resident (USA – 2013) and an alumni of the National Arts Strategies (NAS), executive directors program (USA-2014/15). Life is beautiful or waiting for my uncle from America (2000), Mother I want to be a millionaire (2004), F**k Darwin or how I have learned to love socialism (2007) and On the importance of being an Arab (2009), The Last Supper (2014) and ‘Before the Revolution’ (2017). Performances have taken place in Egypt, Lebanon, Jordan, Sweden, Portugal, Germany, Belgium, Holland, France, Switzerland, Italy, Croatia, Montenegro, the United Kingdom, South Korea, Singapore, Hong Kong and the UAE. ‘F**K Darwin or How I Have Learned to Love Socialism (2007)’ received the best actor’s award at the 22nd edition of the Cairo International Festival of Experimental Theatre. El Attar’s performance ‘The Last Supper’, which he wrote and directed, deals with the apathy of the Egyptian bourgeoisie. The piece premiered in Cairo and Marseille in November 2014 and was performed in 2015, as part of the official selection of the 69th edition of the Avignon Festival as well as at the 44th edition of the Festival d’Automne in Paris. It has since has toured France, Belgium, Italy, Singapore, Germany, Hong Kong and Russia. El Attar is currently working on ‘Mama’, a play dealing with the role of Egyptian women in perpetuating a vicious cycle of oppression of which they are the real victims. The play is scheduled to premiere in Cairo in July 2018 and open internationally at the Avignon festival in July 2018, to be followed by a European tour in Fall 2018. ‘Mama’ is co-produced by the Avignon Festival and the Festival d’Automne in Paris, making El Attar the first Egyptian artist to have been produced by either of the two festivals. El Attar was chosen by the Arabic edition of Newsweek (26/4/05) as one of 42 personalities to have inspired change in the Arab world. In January 2010, El Attar received the prize for best theatre text from the Sawiris Foundation for Social Development for his play ‘Life is beautiful or waiting for my uncle from America’. In November 2013, El Attar received the pioneers of Egypt award from Synergos foundation (USA). In 2018 El Attar was named a “Knight of the Order of Arts and Letters” by the Ministry of Culture in France for his significant contributions to the field of theatre. He is now working as a consultant to the CEO of the General Cultural Authority in the Kingdom of Saudi Arabia.